Everything had gone smoothly during our visit to Guimaras. Until this time. We had just boarded a boat at Alubihod Beach for our island-hopping trip. Despite having rained the previous days – it was the southwest monsoon or habagat season – the sun was up and the waters of the Panay Gulf unusually calm. Our first destination was easily visible on the horizon and, from what we knew, just 15 minutes away. Our motorized outrigger started its engine and we waited for the boat to speed up. So far, so good. We waited… and waited… and waited. We must have waited for more than 5 minutes but the boat never went faster than its initial plodding rate of 5 kilometers per hour. Worried we asked our boatmen who replied that this is usually the case with new engines but that all would be well. Alright. Except that at this rate we could reach Ave Maria Islet, our first destination, in more than 30 minutes instead of 15. Not to mention the other islands that are much farther away. As we neared Ave Maria Islet, Nina caught sight of a sea turtle gliding in shallow waters. Before we could get any closer, the turtle dived and disappeared from sight. This was when we realized that sea turtles abounded in Guimaras – the reason for a number of turtle sanctuaries on the island. It took our minds off our slow pace and whatever problems the boat engine was causing. A part of Barangay Lawi in Jordan, Ave Maria Islet has a beautiful curving white-sand beach with a sprinkling of coral rocks. 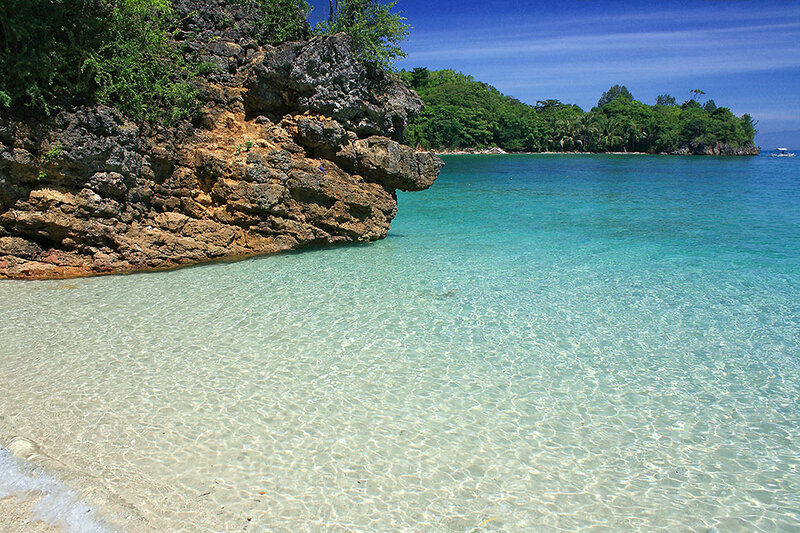 It has very fine, white sand surrounded by crystal-clear turquoise waters. Ave Maria Islet is also uninhabited so you won’t find any dwellings here except for an abandoned and run-down native hut. It was high tide when we arrived at Ave Maria Islet and while much of the white sand beach was already submerged, there was still enough exposed sand for us to enjoy its beauty. 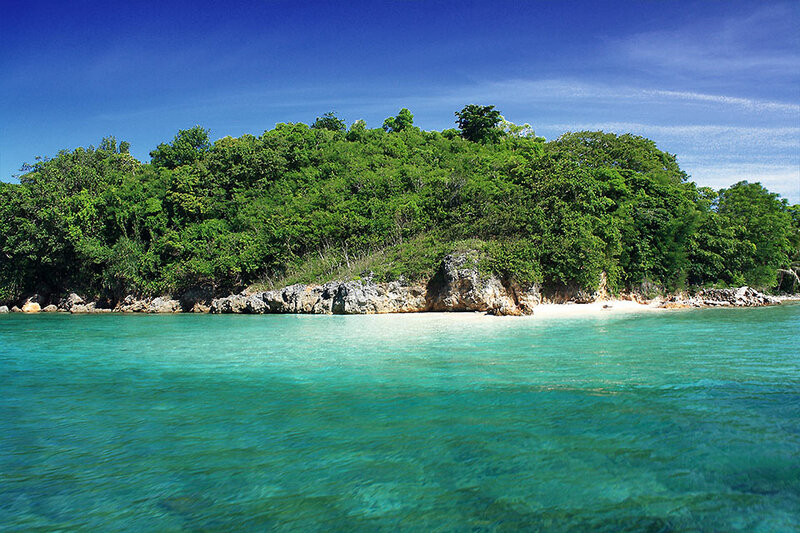 We have to say that Ave Maria is the best island and beach in this part of Guimaras. We spent a great deal of our time swimming in the islet’s shallow waters and snorkeling in the deeper parts. Snorkeling over we boarded our boat for our next destination – to Pawikan or Turtle Island which is just a narrow channel away from Ave Maria Islet. Our boat sped off and that was when we realized it was now moving much faster. We heaved a sigh of relief. The boatmen were right all along in assuring us not to worry about it. 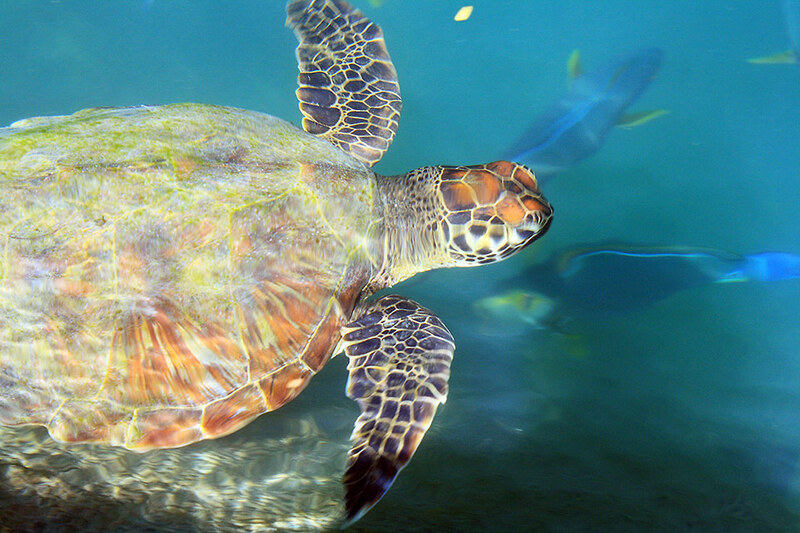 Turtle Island got its name – quite obviously – from its association with sea turtles. It used to be a sea turtle sanctuary but that has since been moved to the Sea Turtle Feeding and Caring Station also in Barangay Lawi, Jordan. Turtle Island has a wider beach front than Ave Maria Islet although the sand is not as fine. It is also possible to snorkel in its clear waters. 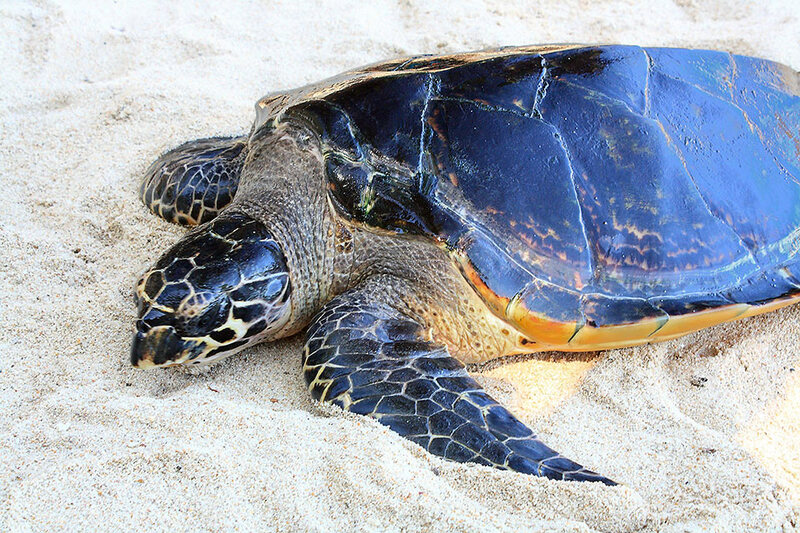 It might have lost its turtle sanctuary but Turtle Island is home to a lone Olive Ridley sea turtle. Our boatman took it from its holding tank and told us that we could hold it high for picture-taking, but noticing that it was stressing the poor creature, we politely declined. This turtle had been hatched and raised on the island. We also saw a small group of baby turtles in another holding tank; our boatman said that some turtles would still wade ashore to lay their eggs on the island. 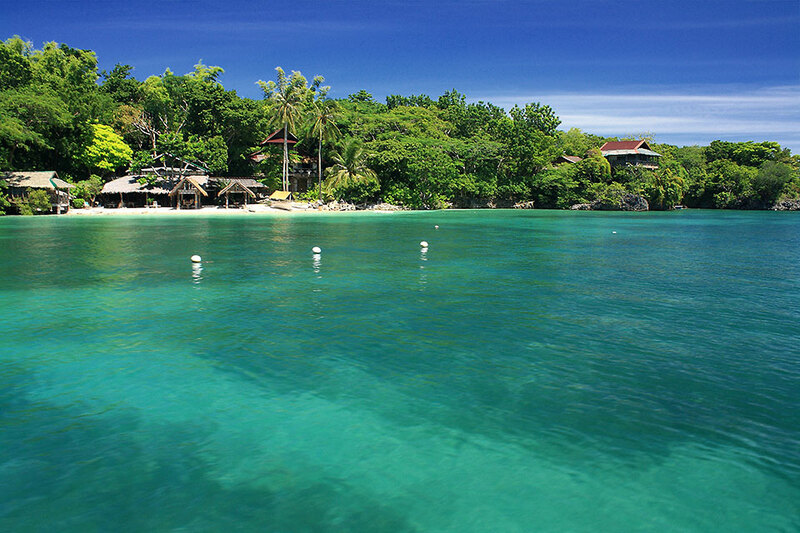 Baras Beach Resort is also just a few minutes boat ride away from Turtle Island. Tucked away in a sheltered inlet, it includes a small cave that may be explored by boat in calm waters. This day, however, strong waves made it dangerous to try to enter the cave. We had to be content with sailing along Baras Beach. The white sand beaches here are smaller compared to other islands and there are several native-style cottages on the beach and in the surrounding cliffs. Natago Beach, another white sand and turquoise waters wonder was next on our list. Our boat had to pass through a narrow opening between two rock islets to get here. A beautiful white sandbar ran across this opening. Since we opted to do this trip in the morning when it was high tide, our boat was able to cross over to the other side. During low tide it was obvious that the sandbar would have been high and dry forcing the boat to make a longer detour to reach Natago Beach on the other side. Unfortunately non-guests of the resort are not allowed to land on Natago Beach anymore. The boatmen informed us that the new owners – a foreigner and his Filipina wife – do not allow it (from what we know beaches are supposed to be public areas and while resorts might be off-limits to the public, the beaches themselves are not). It was the same for Isla Naburot, our penultimate destination. This resort has native-style cottages perched on cliffs and on a beautiful white sand beach. 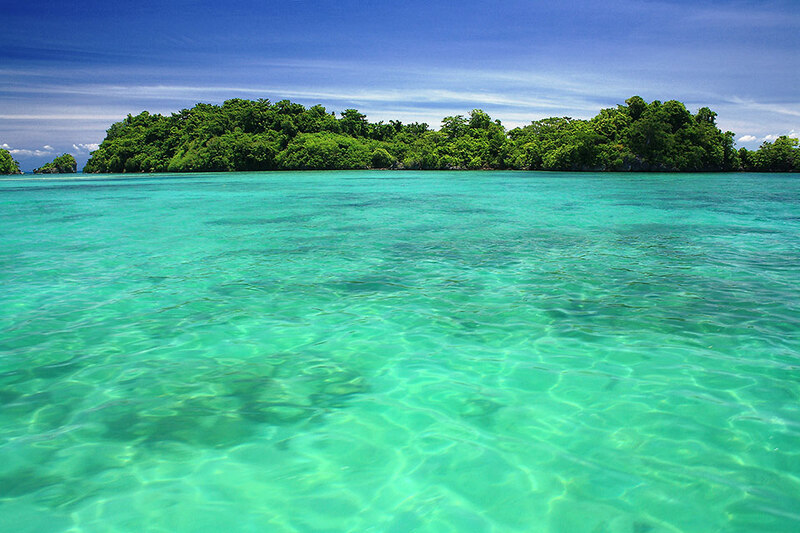 The surrounding turquoise waters contain rich marine life, making it ideal for snorkeling and scuba diving. Owned and operated as an island hideaway by the Saldana family Isla Naburot is pricier than the typical Guimaras resort. And as with Natago Beach we could only pass by, admire and take pictures of this resort. We almost never made it to SEAFDEC’s (Southeast Asian Fisheries Development Center) Igang Marine Station, the last stop of our island-hopping tour. We’re not really into aquaculture and thought that a marine research center is hardly a tour destination on an island-hopping adventure. It is also much farther away than the other islands. But with a considerable amount of time left for our trip we decided to give it a go. As what usually happens, it turned out to be our tour’s most interesting stop. 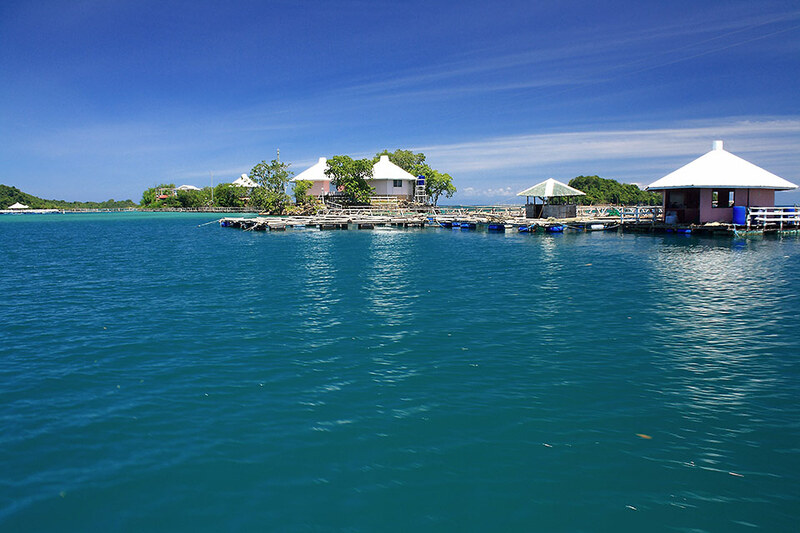 The Igang Marine Station sits on four islets and includes clusters of fish cages interconnected by pontoon foot bridges and research facilities. Surrounded by turquoise and aquamarine waters, the marine station’s surroundings are already a sight to behold. But the most interesting feature of the station is what’s inside the fish cages. The cages contained grouper (local name: lapu-lapu), sea bass (apahap), surgeon fish (labahita), pompano, red snapper (pulang maya-maya), milkfish (bangus) and abalone. Many of the marine creatures are HUGE – we saw several groupers that were 2 meters or so in length. 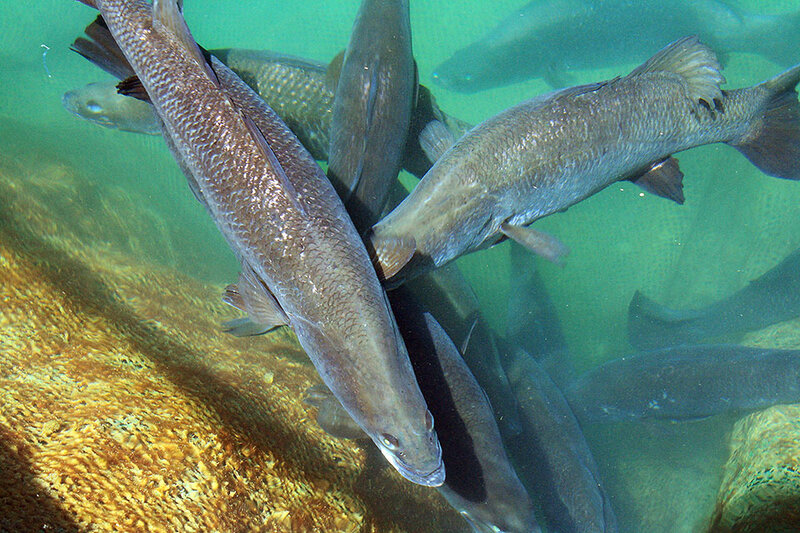 The sea bass here reached lengths we’ve never seen before and the milkfish (the salt water version) are also much larger than the ones we are used to seeing in markets back home. They had to cover the top of the cages with netting or the milkfish would just leap straight out of the cages. And the pompanos! They zipped to and fro so quickly Leo had an impossible time trying to get a good shot of the hyperactive fishes. Our helpful and enthusiastic guide made our visit more interesting as he shared a few anecdotes of the fishes at the station. He actually had names for some of the more notable inhabitants of the cages: for instance he kept calling “Mike!” to a huge grouper whenever he would throw the fish some feed. 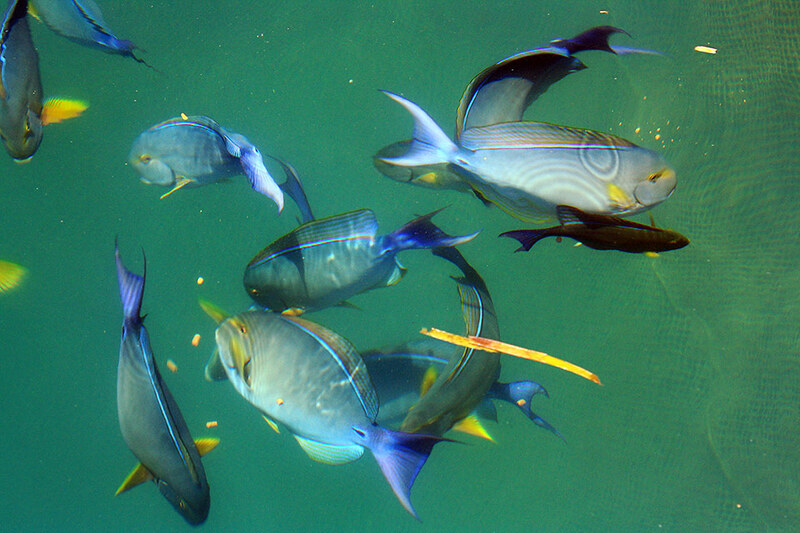 We noticed that several colorful reef fishes including butterfly fish, lion fish, Moorish Idols and even a few poisonous puffer fish were mixed in with the much larger residents of the pen. Our guide explained that these types of fish are not allowed inside the cages but some were able to sneak in when they were much younger and smaller. Once inside they shared in the feed with their larger co-habitants, grew and stayed there permanently. To our pleasant surprise there was a green sea turtle sharing a pen with the surgeon fish. Sebastian was named after the fisherman who caught him (probably got him snared by accident in his fishing net) and was brought here by the SEAFDEC people to recover. (He should have been released back into the wild a short time after our visit.) It was a delight to see one of God’s beautiful creatures gliding gracefully around the pen and to realize that he will soon be free to roam the open seas once more. 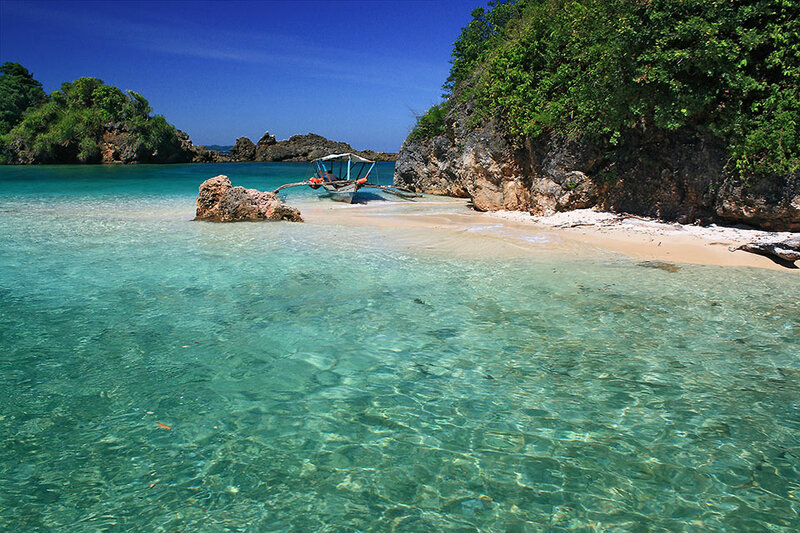 Alubihod Beach is the most popular jump-off point for touring the islands in southwestern Guimaras. The resort where we stayed – Raymen’s Resort – offers island tours. However, you do not have to stay at Raymen’s or in any of the resorts at this beach; you can simply pay the entrance fee of P10 and book a trip either inside the resort or at a kiosk on the beach. The prices are the same: P500 for the first hour and P150 for each succeeding hour for a boat that can normally take 6 -7 guests (maximum of 10). Boats that can take 11-15 people costs P700 for the first hour and P200 for each succeeding hour. For boats that can take 16-20 passengers, it’s P1,000 and P300. This arrangement was a small surprise for us since almost all island-hopping arrangements in other places have a fixed package rate for one whole day even if you consume only a fraction of the day. Consequently, it ended up much cheaper than most island-hopping tours we’ve had so far. The boats are ready to go as early as 6AM. You can arrange your itinerary with the boatmen but we recommend a minimum of three hours to visit all or most of the islands mentioned here. Remember to bring along food and drinks since your destinations will not offer any. The staff at Raymen advised us to make the tour in the morning to enable the boat to cross the sandbar at Natago Beach at high tide. However, the sandy beach at Ave Maria Islet looks best during low tide which occurs usually later in the day. Just find a balance between these two options. You may also rent snorkels at P100 each from Raymen’s. 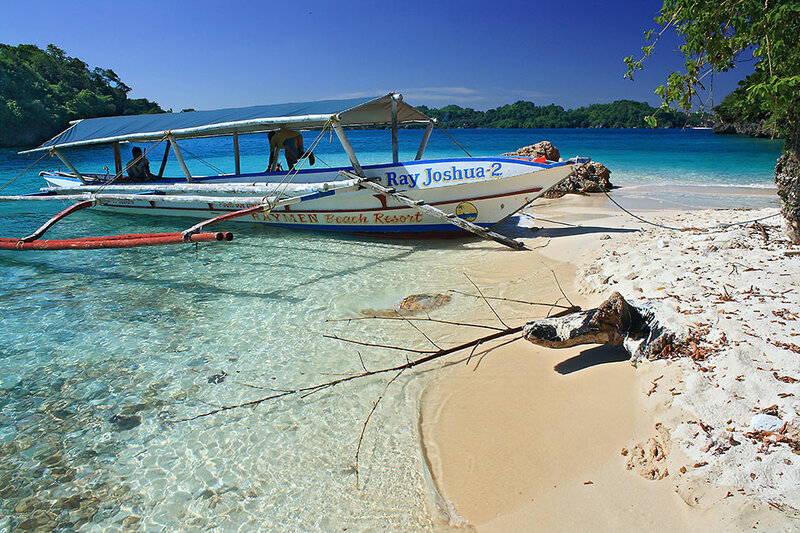 Posted in Blast from the Past, Guimaras, Travel PhilippinesTagged Ave Maria Islet, beach, Guimaras, Igang Marine Station, Isla Naburot, island-hopping, Natago Beach, sea turtle, Turtle IslandBookmark the permalink. oh my gosh! Beautiful! The colors are magnificent. You should. It’s an easy place to reach from Iloilo City. Plus they now have windmills in the northern part of the island which weren’t there when we visited. Thanks Elmer. It was a bit hot on that day but the trip lasted only up to lunch time so we were spared the worst, thankfully. You should! Actually medyo bitin kami. There are other beautiful locations like Guisi Beach and beaches in the northern and eastern part of Guimaras but we only had a day to tour the island. 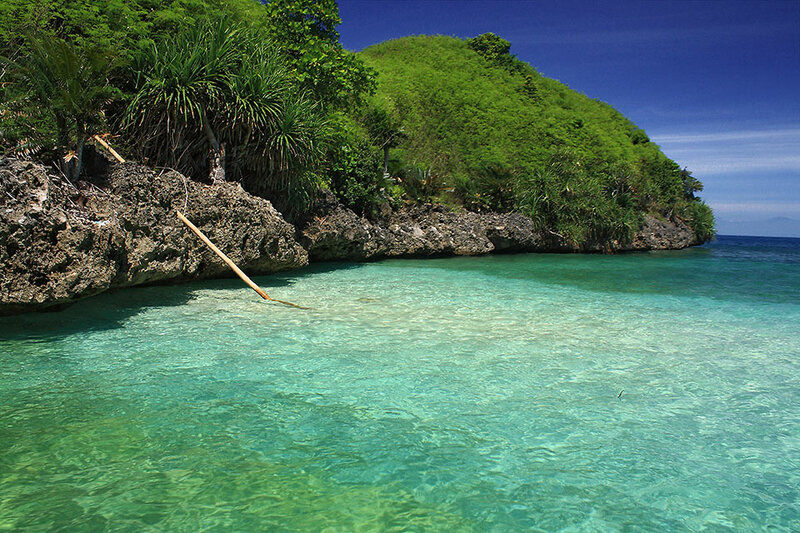 But should we drop by Iloilo anytime Guimaras is an easy place to access – just 10-15 minutes away by boat. super helpful article! can’t wait to see the islands in May! Thanks for visiting Anne! Hope you enjoy your Guimaras visit in May. We certainly did!